In August 2018, Loz and I took on the Kamchatka Peninsula. The Kamchatka region is barely known to the world but what is unique about it is it's allure of deadly amazingness. Enter a world of untouched wilderness bounded by active volcanoes and populated by bears. 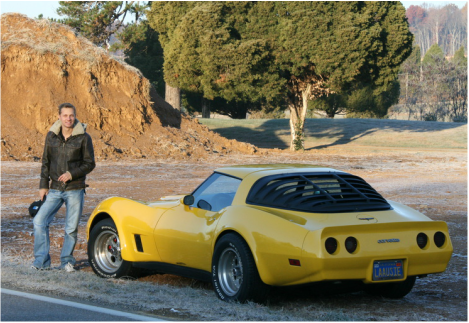 And we to traversed and explored it in the most ridiculous way possible... with a speed wing. The volcanoes that we are tackled involved ascents of more than 14,000 vertical feet and were a challenging mix of hiking, mountaineering and ice climbing to summit those beauties. The team consisted of veteran explorers and true mates; Lawrence Alexander and Kristan Fischer. We spent several weeks summiting the active volcanoes in the Klyuchevskaya Region of Kamchatka, managed to fly from the peaks, land amongst Grizzly Bears and even melted our wings on our final flight! The Stats: 4 Volcanoes summited, 250km covered on foot, M6.0 Earthquakes and one epic 10 minute descent from a sulphur spewing active volcano. Kamchatka is a cutoff and remote region of north eastern Russia. 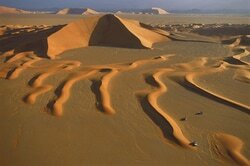 It is of the same latitudes as Alaska and is almost completely void of any human presence. It is home to the most perfectly conical shaped and active volcanoes in the world and also the largest Grizzly Bears in the world. We headed directly for the most active region and were immediately met with earthquakes of M6.0, blizzarding conditions of -20C (in the middle of summer) and awe inspiring volcanoes reaching upwards of 4500m above the valley floors. For weeks we camped at the base of these volcanoes, waiting for weather windows to summit and potentially fly from the top in our paragliders. The ascents would start with sometimes up to 30kg of equipment at 3am, only to be turned back just shy of the summit due to violently unstable weather conditions that would literally threaten to blow and freeze us off the mountain. 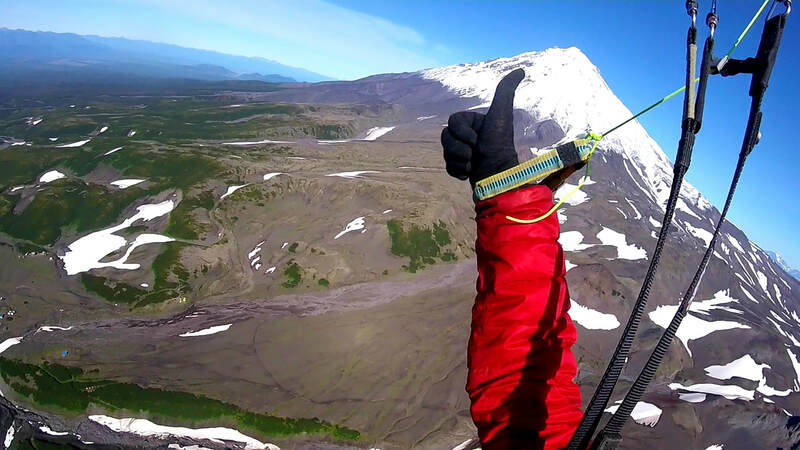 Despite the conditions, we were able to accomplish our goals of summiting, entering and flying from active volcanoes in Kamchatka. In March 2017 Fisch, Juan, Avi and Loz headed to China to traverse the Taklamakan Desert, a 400km stretch of previously unexplored desert - all on foot and completely unsupported. 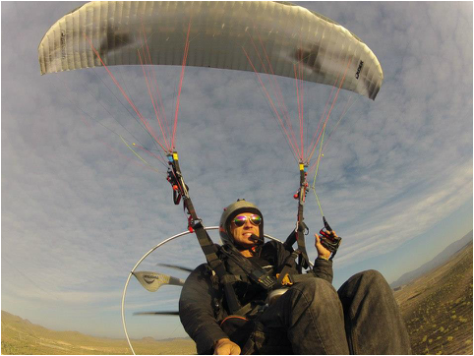 A world first - the longest and toughest paramotor race in the world in October 2015. Fisch partnered with Ryan Shaw of Paradrenalin to take on the race and was the first to cross the finish line! In a race that was scheduled to take 10 days, Fisch completed it in only two and a half by blazing a route as high as 11,000ft and as low as merely 2ft. Fisch had the amazing support of his ground crew Teddi who even got a speeding ticket trying to keep up with him! More about the Icarus Trophy here. 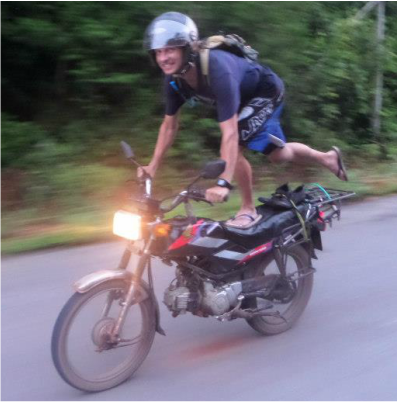 3000km down the length of Vietnam from Hanoi to Saigon following the old HoChiMinh trail on a Honda Win 100cc motorcycle. In 2013 the team travelled through and explored remote limestone caverns, wonderous valleys kissing the border with Laos and floated with motorcycles down the Mekong River in search of adventure. 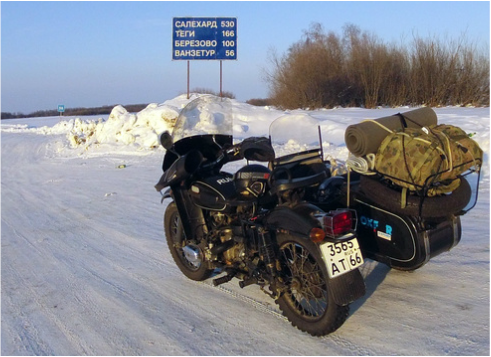 2000km on a vintage Russian Ural motorcycle from Irbit to Salekhard in Siberia deep in the middle of winter. 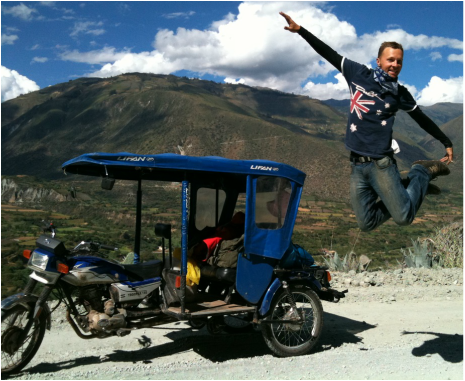 2700km crossing the Peruvian Andes on a 125cc mototaxi Tuk Tuk. During this adventure Fisch was taken captive by corrupt police officials, threatened and chased by bandits, reached elevations of over 16,000ft to which no Tuk Tuk should ever go and traversed some of the toughest and roughest landscapes in the country. 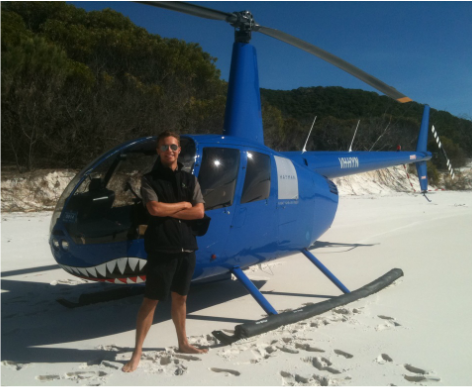 For years Fisch has been exploring some of the most remote Australian regions by helicopter. He's landed on top of waterfalls in Cape York, been to islands hundreds of kilometres from the mainland, crossed the Torres Strait, Simpson Desert, Strzelecki Desert and the Snowy Mountains to name a few.